Pregnancy is a biological event unlike any other, impacting nearly every system of a woman’s body. Nearly one-third of American women experience some kind of pregnancy complication, making early pregnancy care critical. The changes you will undergo during pregnancy require regular medical care from the earliest stages to ensure you and your baby are healthy throughout. A woman’s body begins to change almost immediately following conception. Within 3-4 days, the fertilized egg attaches to the lining of the uterus, triggering a series of transformative events. The uterine lining gets thicker, the cervix is sealed and a hormone called human Chorionic Gonadotropin (hCG) makes its way into the bloodstream. At the same time, your baby is also developing quickly. Your child’s genetics and gender are set from the moment of conception. Within the first month, there are the recognizable beginnings of a face, and the baby’s blood begins circulating. With so much happening so fast, the earlier you seek medical care, the better. The first thing to do, of course, is to confirm you’re pregnant. While many at-home pregnancy tests are reasonably accurate, a medical pregnancy test followed by an obstetrical ultrasound is the only way to be absolutely sure. The ultrasound also helps to determine if the pregnancy is viable, meaning there is cardiac activity and that the pregnancy is not ectopic. 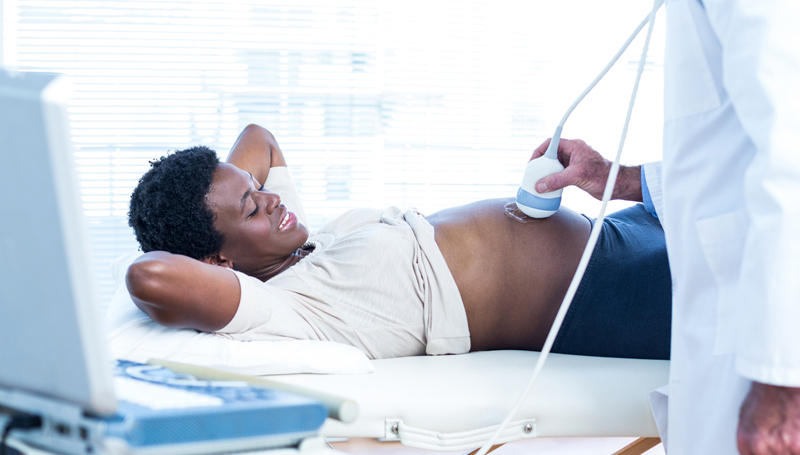 With the pregnancy confirmed, it’s time to schedule your first prenatal care appointment. This visit is designed to evaluate your overall health and identify any risk factors that could negatively impact your pregnancy. Your doctor will perform a physical exam and ask about your personal and family health history. A personalized prenatal care plan is then developed based on the findings. If you don’t already have a healthcare provider, or worry about the costs associated, community resources may be available to you. In Gainesville, Sira offers free medical pregnancy tests and free limited obstetrical ultrasounds, with no insurance required. If you think you may be pregnant, call us at 352-377-4947 or contact us online to schedule an appointment. Your body and your baby rely on you to make smart choices early in your pregnancy and beyond. Sira is here to help.